New Maine facility to feature Fiberight's first full-scale operation of its biofuels and biogas processing systems. "I have known and have worked with CP since the 1990's on various jobs. CP is an engineering-focused company, which brought great value and utility when working with Fiberight to create a flexible design that is optimized for our unique processing needs," said Craig Stuart-Paul, Fiberight CEO. "The system is a blend of traditional and new equipment to provide Fiberight with flexibility for changing markets with extremely low-maintenance and durable machines," stated Terry Schneider, President and CEO of CP Group. Fiberight's proprietary anaerobic digestion and biogas technology is the first commercial process to convert organic wastes to biofuel and refined bioproducts. Residual waste at the facility will be processed by Fiberight's technology, upgrading the MSW residue into industrial bio-energy products. "We are very honored to be a part of this groundbreaking technological advancement with the Fiberight team," says Schneider. "Their forward-thinking approach could change the way the industry processes waste, particularly fiber." 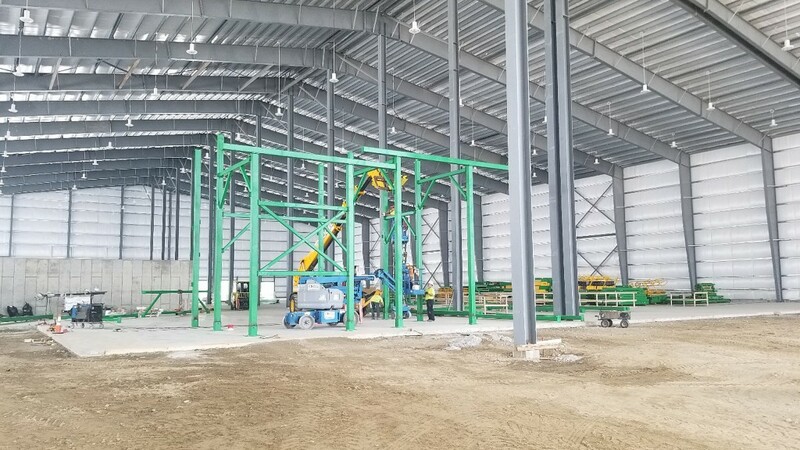 CP's installation of the material recovery facility will take just over 3 months, with a forecasted system startup date in Q4 2018. Fiberight LLC is a privately held company founded in 2007 with current operations in Maine, Virginia, Maryland and the United Kingdom. Fiberight's proven, proprietary waste processing technology converts Municipal Solid Waste into high-value commodities to enable next generation recycling and maximum resource recovery from municipal waste.